Baptized Jew; lived at the middle of the sixteenth century. 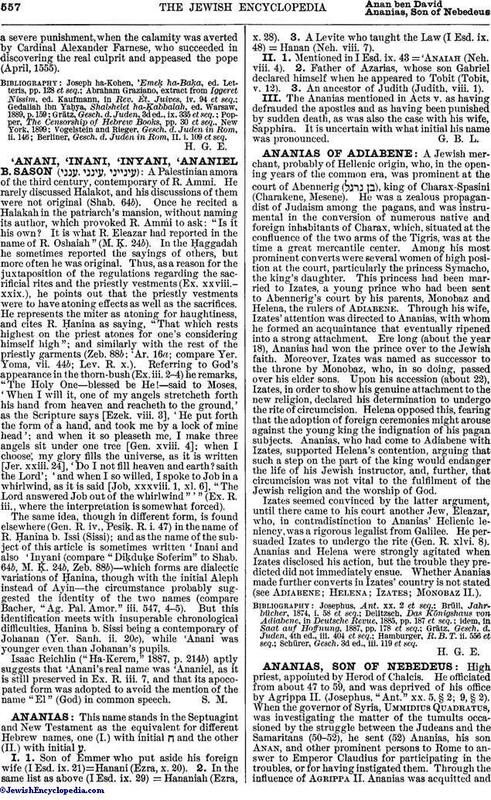 Joseph ha-Kohen reports in his "'Emeḳ ha-Baka" that Ananel was the leader of a triumvirate of apostates, who in 1553, appeared before Pope Julius III. with a sharp arraignment of the Talmud. Joseph Moro and John Baptista Romano Eliano, the grandson of Elias Levita, were his companions. The tradition is that these converts were employed by two rival publishers of Jewish books at Venice, and that in the course of competition they were sent to Rome. They denounced the Talmud as containing defamatory statements regarding Jesus, the Church, and Christianity in general, and as constituting the sole impediment to the wholesale conversion of the Jews. Julius III. was neither a fanatic nor inimical to the Jews: his two physicians were Vital Alatino of Spoleto and the Marano Amatus Lusitanus. But the case in question lay beyond the bounds of his jurisdiction: it belonged to the court of the Inquisition, at the head of which stood the extremely fanatical advocate of the universalization of the Spanish Inquisition, the Dominican Caraffa. On Aug. 12, 1553, the pope signed the edict ordering the destruction of the Talmud, submitted by Caraffa. Though it is said that the Jews were given an opportunity of defense, all copies of the Talmud at Rome were seized by the Inquisition immediately, and were burnt on the Jewish New Year (Sept. 9) in the Campo dei Fiore. 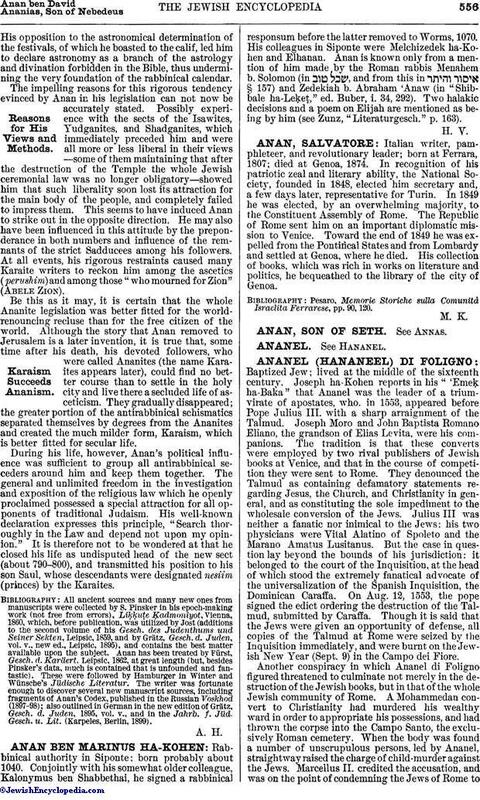 Another conspiracy in which Ananel di Foligno figured threatened to culminate not merely in the destruction of the Jewish books, but in that of the whole Jewish community of Rome. A Mohammedan convert to Christianity had murdered his wealthy ward in order to appropriate his possessions, and had thrown the corpse into the Campo Santo, the exclusively Roman cemetery. When the body was found a number of unscrupulous persons, led by Ananel, straightway raised the charge of child-murder against the Jews. Marcellus II. credited the accusation, and was on the point of condemning the Jews of Rome toa severe punishment, when the calamity was averted by Cardinal Alexander Farnese, who succeeded in discovering the real culprit and appeased the pope (April, 1555). Berliner, Gesch. d. Juden in Rom, II. i. 109 et seq.